Professional Fireplace and Chimney Inc services the Portland Metro area. 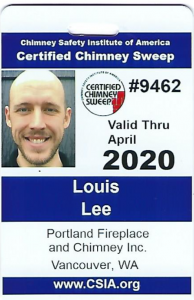 Certified to help you with all your fireplace and chimney needs! 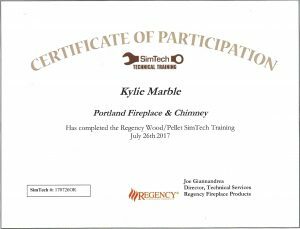 Portland Fireplace and Chimney Inc. is licensed, bonded and insured, and has a history of providing excellent service to all our customers. 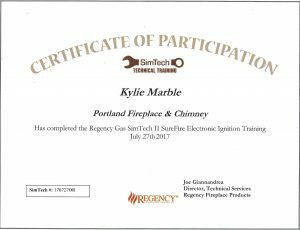 Our family has been living in the northwest and servicing people with not only chimney needs but many other areas of construction such as roofing, foundation, and forensic leak determination. It is our passion, our livelihood and our love of the community around us that inspires the excellence in trade knowledge and customer service. 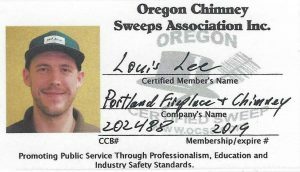 Owner Louis Lee is a second generation entrepreneur, born and raised in Portland and has been restoring Portland homes his entire professional career. He loves preserving the historical integrity in the Portland Metro area. “I want to take care of your investment by fixing the issues related to your fireplace, chimney, and roofing needs. All of our estimates, and work, comply with the specifications of the National Fire Protection Association Codebook 211, this is the national standard for chimneys, fireplaces and venting. We are tested on International Building Code 2015 edition for seismic retrofitting (earthquakes), and The American Masonry Institute standards of proper masonry water proofing repair. We are also an EPA trained lead-based paint renovation certified firm, for those toxic, lead based, painted chimneys out there”. Kylie is an Oregon native who joined the PF&C team in March 2017. Fire safety runs in her family, growing up with her dad as a firefighter. She recorded a full-length album and continues to write music in her spare time. Kylie is a necrotizing fasciitis survivor, a rare and often fatal bacterial infection. After 18 surgeries and many months of physical therapy, she considers it a joy to have the ability to be up on the roofs serving homeowners. 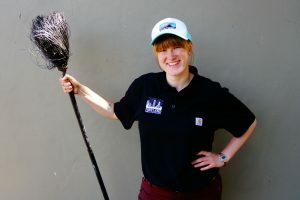 With a degree in interpersonal communication from Wheaton College, Kylie is passionate about genuinely connecting with people and helping to meet their fireplace and chimney needs. 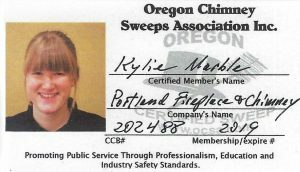 Whatever the need, make sure to ask for Kylie, one of the only women chimney sweeps in the industry. 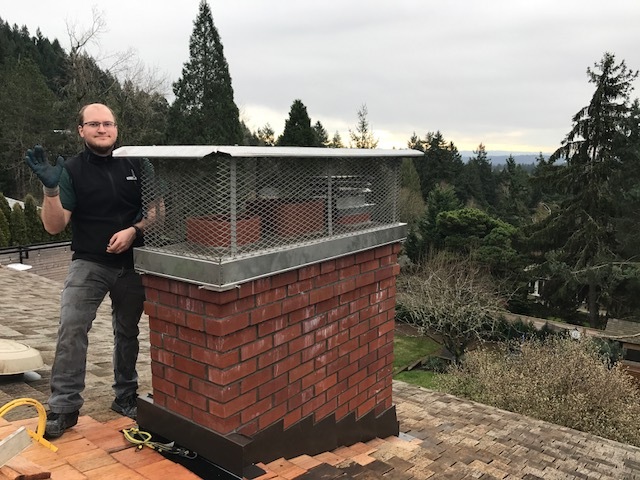 Nathaniel is a chimney geek that has a passion for the history of the chimney craftsmanship and the progression of chimney and fireplace technology over time. He enjoys the challenge of learning everything he can about chimneys and sharing that knowledge with homeowners. Nathaniel grew up in the beautiful Ozark Mountains in SW Arkansas. He moved to Portland 6 years ago and enjoys being able to work outdoors. 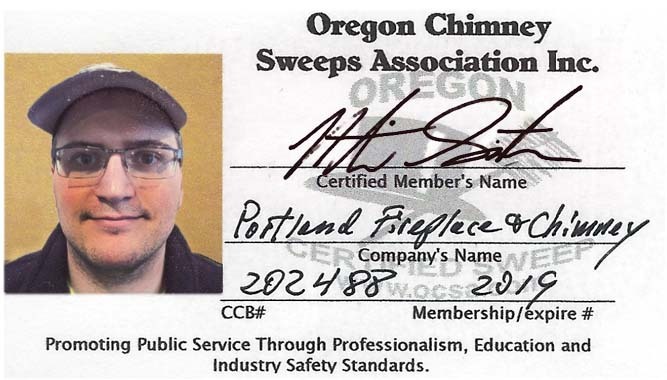 Portland Fireplace and Chimney is your premiere service provider to the Portland metro area and beyond. Maintained by WordPress Contact Service. © 2007-2017 Portland Fireplace and Chimney. All rights reserved.